Metro Transit is the main local and regional transit system in the Minneapolis-St. Paul region. It operates buses, light rail, and commuter rail. 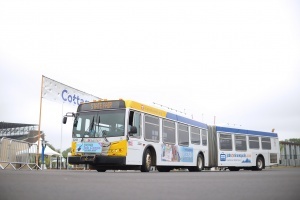 Metro Transit provides rail and local mainline bus service in those cities/communities. MVTA, Maple Grove Transit, Plymouth Metrolink, and SouthWest Transit provide local and regional bus in other suburban communities in this metropolitan area.